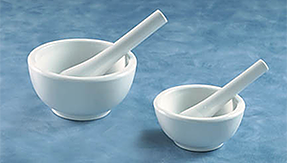 Compounding dates back to the earliest practices of pharmacy. It was the pharmacist’s responsibility to prepare custom made medications to meet the patient’s needs. In the 1930s and 40s, 60 percent of all medication was compounded. As manufacturing took hold in the 1950s and 60s, the practice of compounding dropped dramatically. Pharmacists became dispensers of manufactured medications instead of being preparers of custom medications. However, in the 1980s and 90s, physicians began to realize the importance of custom made medications to better meet their patients’ needs. They began calling on pharmacists to help them and, again, compounding had somewhat of a rebirth. Today, compounding pharmacists are often advertising themselves as “problem solvers”. The label is appropriate, because compounding pharmacists are working with physicians and patients, implementing modern compounding techniques, to solve problems that some patients have with taking manufactured medications. There are many reasons why compounding should be an important practice of pharmacy. First of all, a patient could possibly have an allergic reaction to a preservative or a dye in a manufactured medication. In that instance, perhaps we could prepare a formulation that contains no preservatives or dyes, so that the patient could continue taking the medication he or she needed, without worry or concern. Limited strengths and dosage forms are always a problem with manufactured medication. Working with the physician, we can compound certain medications in many different strengths and dosage forms. Some of the dosage forms we are able to compound are capsules, transdermal creams and gels, troches, lozenges, liquids or suspensions. We can make them taste better too! Adding a flavor here and there greatly increases the chance of patients, especially children, taking the medication as directed by their physician. Don’t forget about your animals! We can help them too! We also work with veterinarians to help your animals get the medications they need!